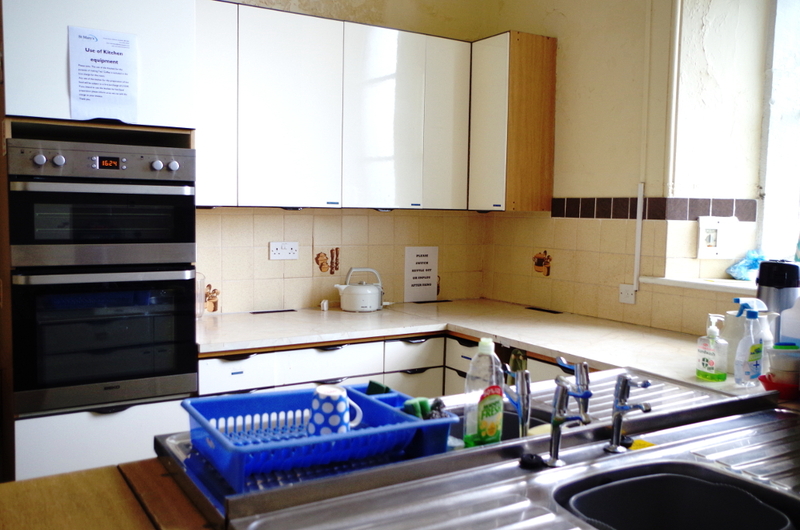 The large, clean and fully equipped kitchen on the upper floor is accessible from the Main Hall and Meeting Room. 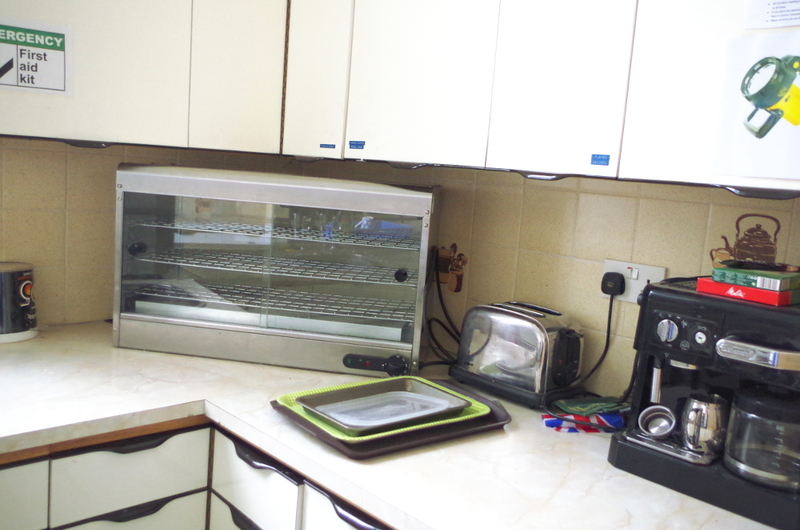 The kitchen is accessible by wheelchair however the counters are at standard height. 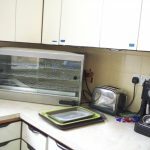 Use of Kitchen for making Tea/ Coffee etc is included in room hire fee. 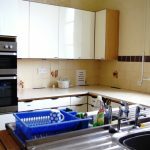 There may be a small supplementary charge for use of cooking equipment if more extensive use of the kitchen is required.